7th Annual One Bridge Poster Winner! 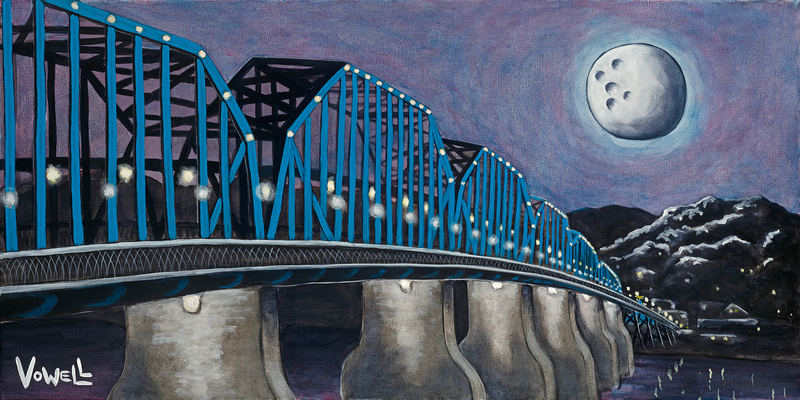 Congratulations to Justin Vowell of Monteagle, TN, who was selected to paint his interpretation of the Walnut Street Bridge to be the poster art for the One Bridge Folk Art Festival. A limited edition lithograph (edition size will be no more than 50) will available for purchase at the festival and at Winder Binder Gallery & Bookstore. 6th Annual One Bridge Poster Winner! Congratulations to Stephen Graham of Splinter Art, who was selected to carve and paint his interpretation of the Walnut Street Bridge to be the poster art for the One Bridge Folk Art Festival. A limited edition lithograph (edition size will be no more than 50) will available for purchase at the festival. 5th Annual One Bridge Poster Winner! Congratulations to Whitney Nave Jones, who was selected to paint her interpretation of the Walnut Street Bridge to be the poster art for the One Bridge Folk Art Festival.